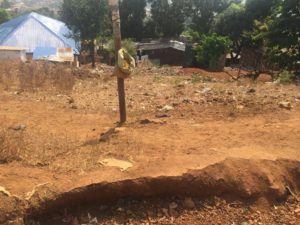 Over the last six months, Freetown City Council’s (FCC) Cleanest Zone Competition has been tracking improvement in sanitation in the 322 zones that make up Freetown. The Competition assesses communities’ efforts to clean and beautify their surroundings (especially planting flowers, trees, shrubs etc) and how innovative and sustainable their solutions to sanitation are. On Saturday 30th March, the team of independent judges, together with the Mayor and FCC staff, visited the shortlisted zones, walking through the communities and assessing them against the stated criteria. The judges assessment will determine the final winners of the star prize of ten solar street lights, 250M of paved road, a water point and scholarships. Find out who wins the first Cleanest Zone Competition on 11th April, 2019 at the first Cleanest Zone Awards!!! Read more about the assessment criteria for the Cleanest Zone Competition here.